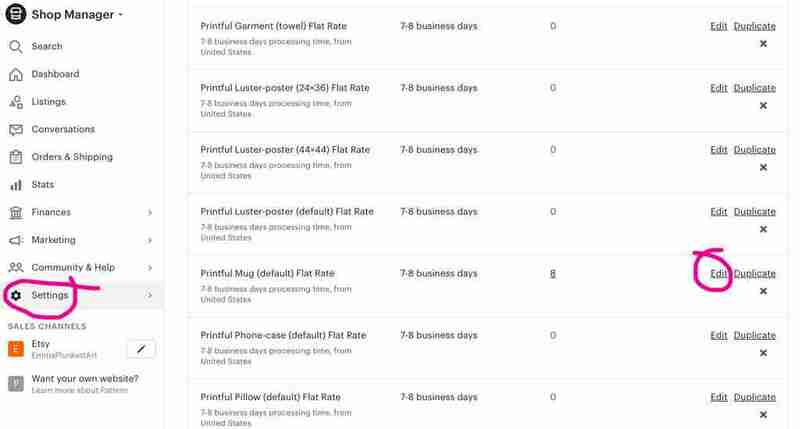 How to take full advantage of Printful‘s print on demand, multiple Etsy shipping origins service. Use their warehouse fulfilment locations around the world and give your Etsy customers the best shipping rates. 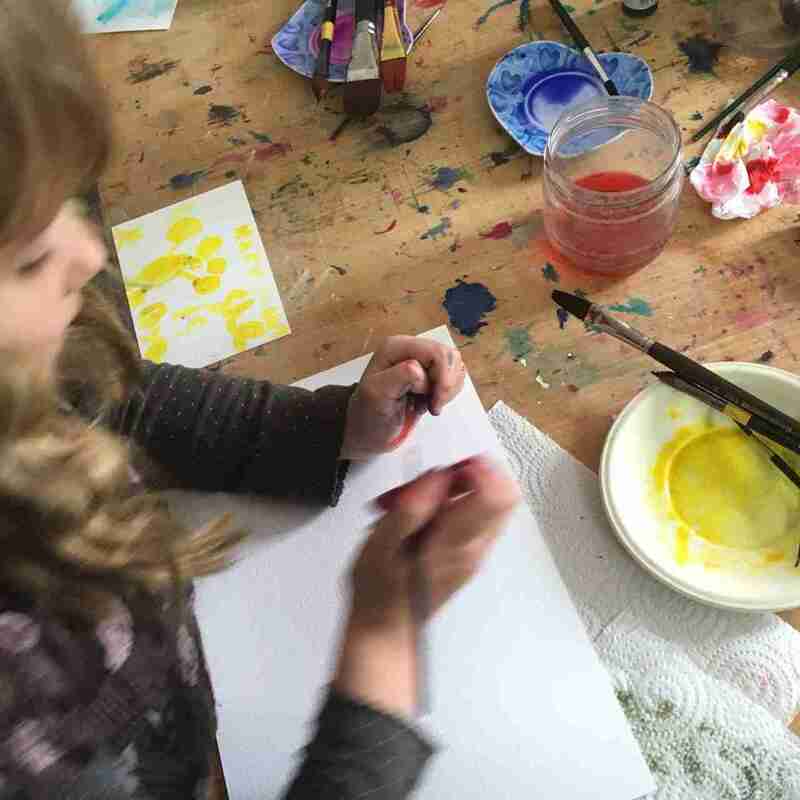 To do this, you will need to follow these step by step guide and just to let you know, it’s much easier than you may think! Even though Etsy and Printful, customer support, both got back to me with adequate replies, the thought of implementing what they wrote was enough to put me off from pursuing my Etsy print on demand project any further. 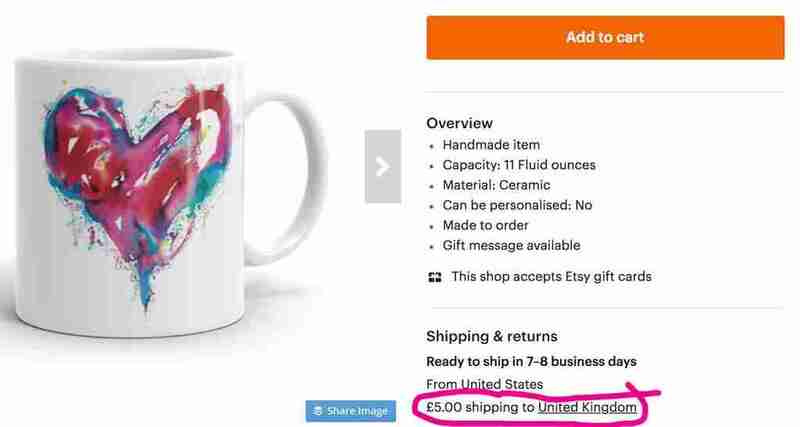 You’re probably on this blog for a similar reason – feeling exasperated by some of your Etsy’s high shipping rates? Are you still ready to give it another shot? Well done for your perseverance! I feel your pain, hence why I am sharing my solution with you. I hope this simple, illustrated explanation does the trick. 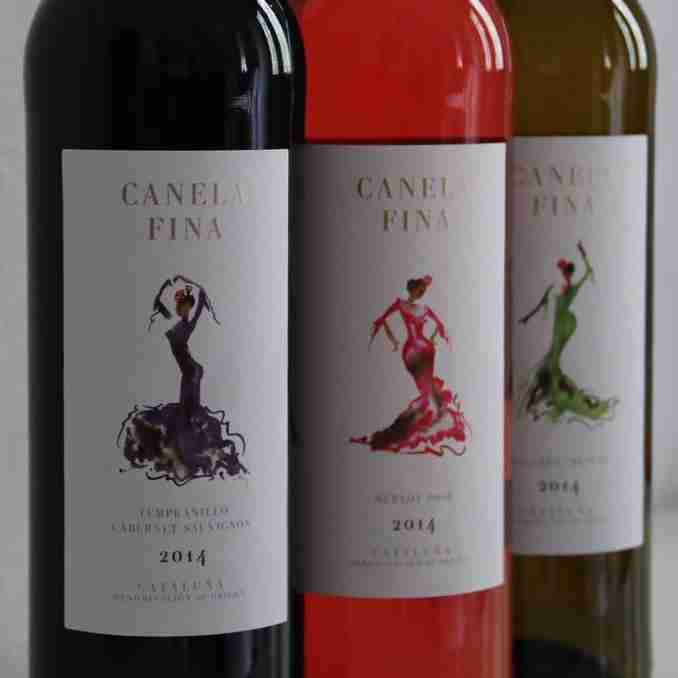 Have your currency converter handy. Please note, in the future we are all going to have consider any postage price changes and any major currency rises and falls, for these manually added shipping rates. Go to your shop manager on Etsy. Click on settings and then from the next menu that is revealed, click shipping settings and you will see Printful products listed out like in this image below. Click Edit on the Printful item you want to work with. 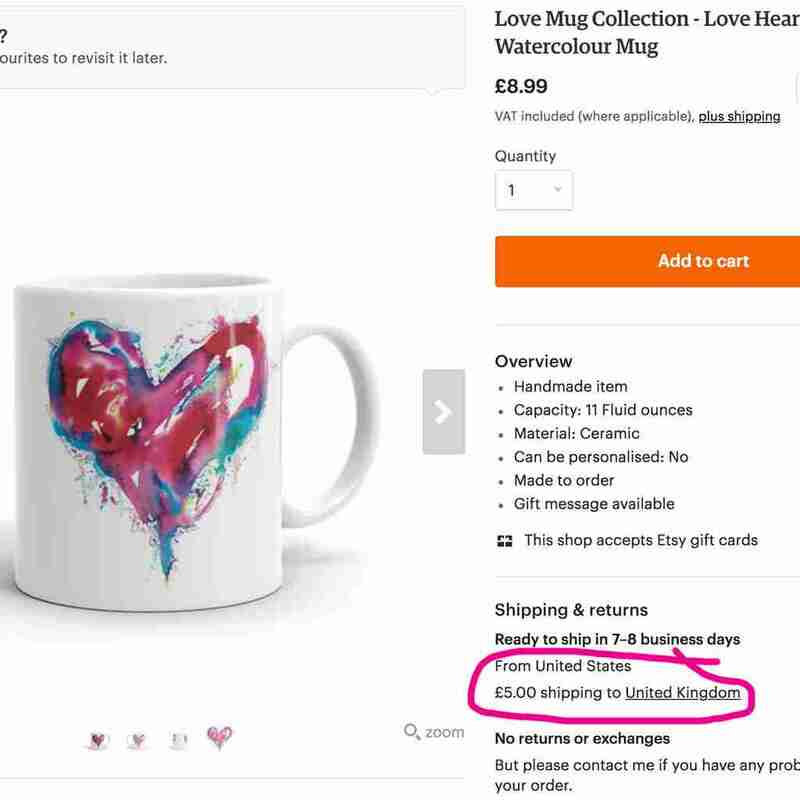 For this example we will be keeping the USA as the main fulfilment centre and we will be adding a European Union location for our mug. Scroll down until you see the fields in the image below and click Add another location. On the drop down menu, click the country or continent you require. 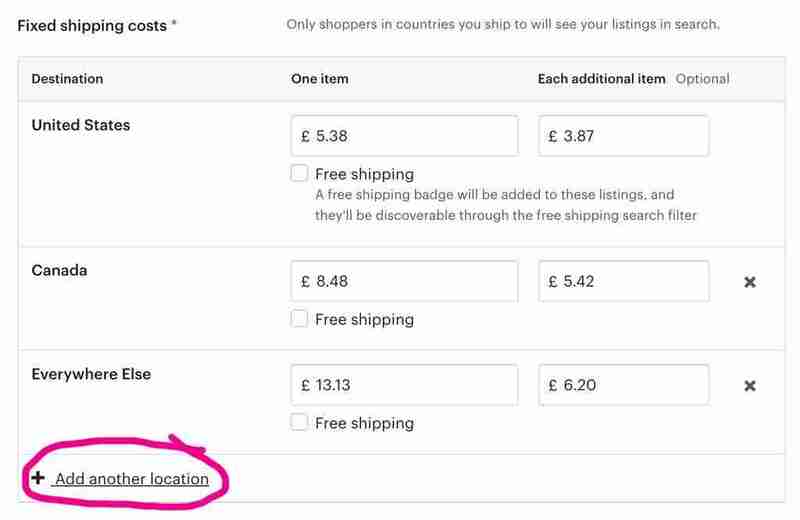 Set the shipping cost to each destination based on where that will actually be shipped from. Open a tab for Printful’s shipping page and scroll down till you hit the product you want to deal with, in my case it’s mugs. 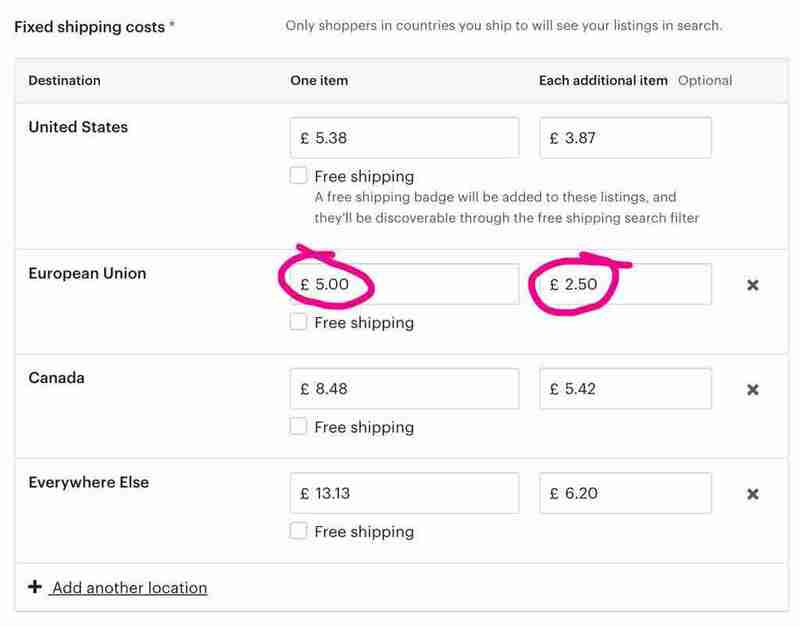 Take the price of the European shipping at the end, $6.45 and covert it into the currency that your shop is in. Add in the extra shipping prices and click save. Now go check your Etsy item and see if it has the reasonable shipping rate for all the good people, both from the EU and USA! 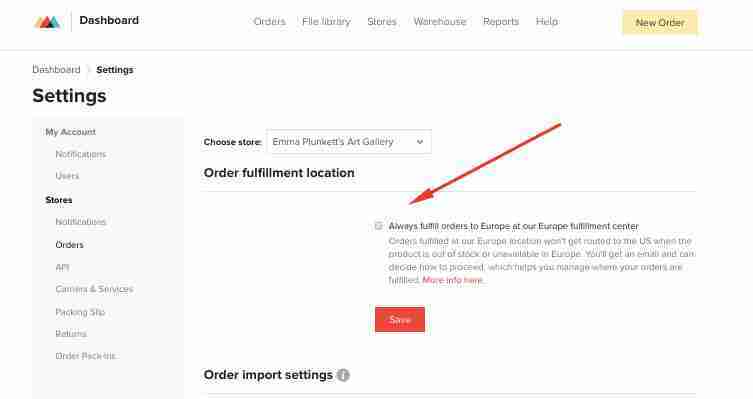 So just to add – if your customers are mostly from the EU, then you can make sure the goods are automatically shipped from the EU in the Printful settings. If you login to your Printful dashboard> Settings> Stores> Orders, you will see the following page. Finally, you may want to note in your shop announcement or listing descriptions that your items may actually be shipped from multiple Etsy shipping origins, so that buyers are not surprised when the order ships. BTW if you are interested in having a watercolour love heart mug in your life, then this product can be bought in my Etsy shop!